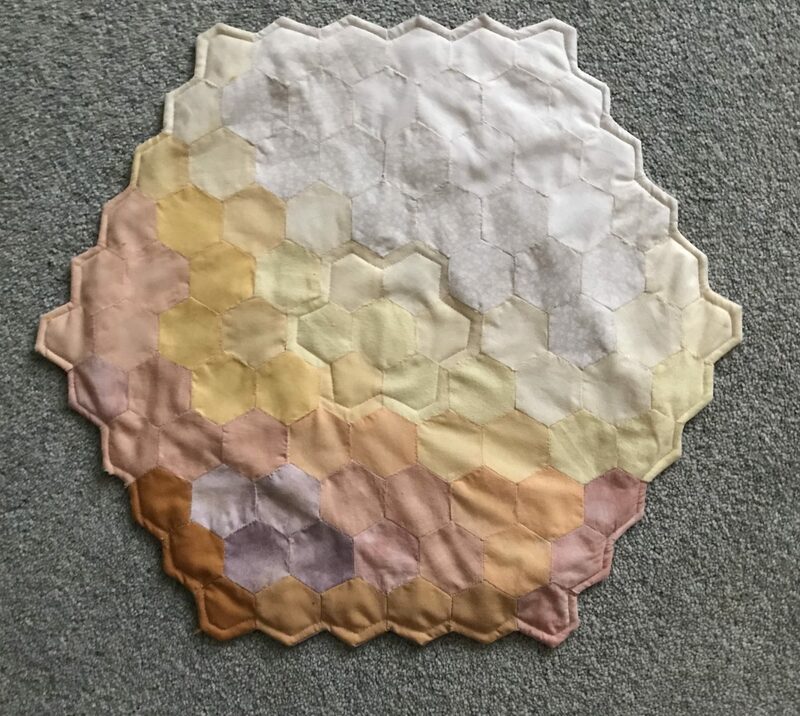 small hexagons arranged to make a table centre with muted warm colours. Hand sewn and machine quilted. As large as my patience would allow me ! Hi Mary - now you know why my hexagon quilt has taken such a long time to finish! And mine isn't even quilted yet - that's another few months I'm certain!